For the past 30 years Salaam Baalak Trust has been a constant source of helping marginalized children realize their rights and feel safe in this world. Since its inception in 1988 the trust has toiled tirelessly and garnered immense goodwill allowing it to support over 90,000 children in need. Today the trust has 12 contact points, 7 shelter homes. 12000 of these children go to regular schools and 18000 have been reunited with their families. Besides this the trust also has three 24hours emergency helplines for any child in need of protection and care. "We have received tremendous support from our well wishers, which has been our biggest motivation to support more children in the 30 years. The fund raiser helps us to connect with our donors as well as raise funds for the program", says Tanya Alag, Head, Resource Mobilization. To continue their work towards street and underprivileged children and for celebrating 30 years, the organization is organizing a fundraiser on the 5th of October, 2018 at Gallery 1AQ, Qutab Minar, 7 PM onwards. This will be one of the many events that would be held in celebration of the 30th anniversary of Salaam Baalak Trust. The mesmerizing event will feature an eventful evening of Qawwali with Qutbi Brothers Qawwals and is open for all. 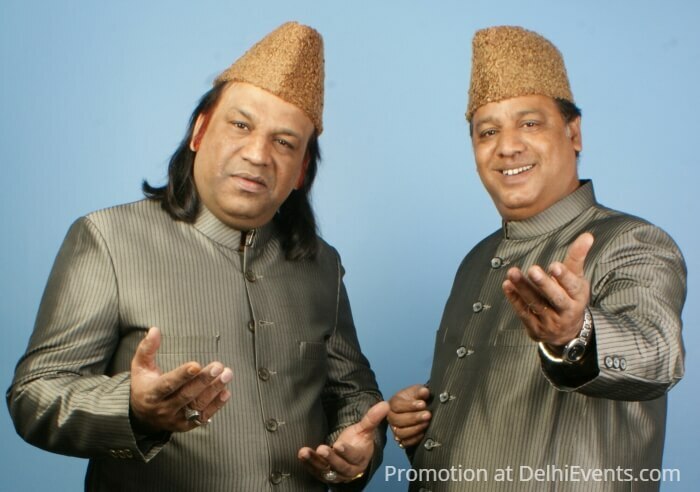 Revered as one of India’s most celebrated qawwali singers, the Qutbi Brothers are the inheritors of a 750 year old tradition, nurtured and developed over several generations by great luminaries in the Indian Musical horizon. They are respected for creating a record for a non-stop 12-hour Sufiana Qawwali singing programme, also organised by the Sangeet Natak Akademi to promote the Qawwali tradition, in November 2016. In their career spanning across several decades, they have enraptured audiences all over the world in several prestigious music festivals. In the past three decades, Salaam Baalak Trust has received a tremendous amount of support from well wishers, which has been their biggest motivation. Salaam Baalak Trust is known for creating a nurturing environment that can foster normal physical and mental growth of street and neglected children, and also help them have a bright future and find a place in this world.